Last mile delivery can comprise anything from 28% to 50% of the total transportation cost to its destination. We believe there’s a better way….! At Hubl, the focus will be on the customer – a rare thing in last mile delivery. As the shift from bricks and mortar to online retail continues, the difficulties of managing last mile delivery grow. New customer expectations regarding order time to delivery, overall delivery experience, and open communication have forced online retailers to invest in new technological solutions to manage their delivery operations. But the change in last mile delivery services has not kept up with the progress demanded. Real-time tracking of parcels is still a rarity, even though e-commerce consumers expect such a service. A reduction in repeated deliveries – due to half-load vans has ensured pollution levels remain the same or increase. Brand-agnostic delivery models (i.e. no-load consolidation because Amazon/Uber only delivery for their own brand) and poor route optimization drives many deliveries towards small loads frequent trips, again causing congestion and increased pollution and noise. Air pollution in the UK is a public health emergency and is responsible for 40,000-50,000 early deaths a year according to a cross-party committee of MPs. 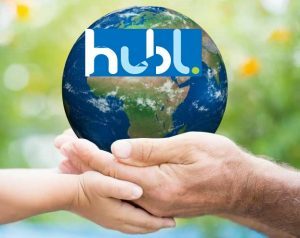 In this time, when politicians are forced to react by taking measures to reduce emissions in urban centres, Hubl will be a distinct and welcome improvement to last mile delivery operations. The expensive, inefficient, outdated and dirty air model will be replaced by sophisticated logistics management, meeting the demands of consumers by offering a superior service and the answer to pollution, noise and CO2 emissions of current delivery vehicles. Hubl will be first in this endeavour and its brand will become the industry standard for effective operations. Hubl Logistics Ltd | Registered in England and Wales, company registration number 8640554.